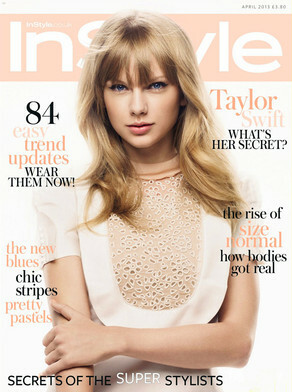 Taylor Swift can be seen on two covers this coming April, Vanity Fair and InstyleUK. In the former, Swift speaks out about the Golden Globes jab by Amy Poehler and Tina Fey. Swift is embarking on her RED TOUR as well as being the face of Diet Coke (commercial out next week), whilst promoting her new single '22', the video of which will be out shortly.